ActioNet is helping solve real world humanitarian catastrophes. Through MapGive, Thomas Gertin & Erika Nunez of ActioNet’s DoS HIU Team worked with volunteers and donate their time to projects that can impact humanitarian and development efforts around the world. MapGive is a campaign dedicated to teaching the importance of creating open map data, giving people the skills to map, and connecting them with mapping tasks through a user-friendly interface. You can help too. Map any place in the world even if you’ve never been there. What if there were more online MapGivers? Together, ActioNet employees are making a difference. Become part of a movement to make a difference today. Go to http://mapgive.state.gov/ for more information or contact mapgive@state.gov to find out how you can get involved. 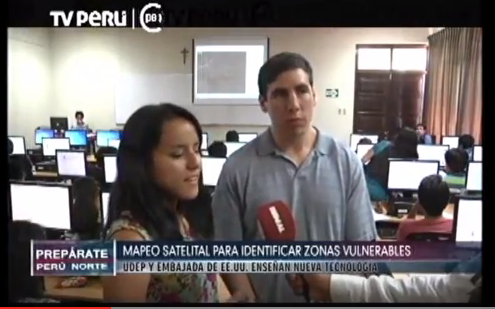 Tom Gertin & Erika Nunez of ActioNet on Peru national news: https://www.youtube.com/watch?v=R6K2RUKf7CM&feature=youtu.be.